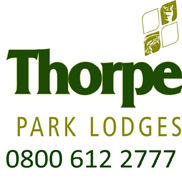 Thorpe Park Lodges are available to buy or hire for holidays and short breaks with a small number for sale See our Sales Page for more information. To Book your stay or for further information or to recieve a Brouchure please use the form below and one of the team will be in touch. Please call or email to organise a viewing of the park and its outstanding facilities, our address is below.